Eagle’s Flight was a two week long high adventure trek in the mountains of Yosemite. This trek was only for Scouts that had attained the rank of Eagle and was proficient in the ways of the out doors. 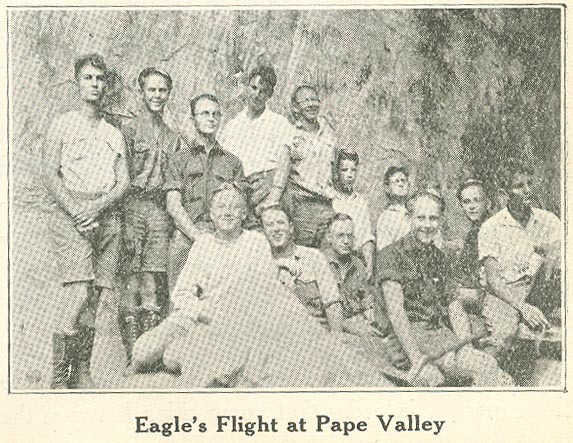 Eagle’s Flight was based out of Camp Dimond-O and held from 1928 until at least 1936.